Oceans 8 Review – Reviews Downloads and More! 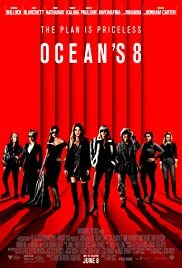 An Oceans movie with a female group.If anyone remembers the previous Ocean’s movies it was a group of guys performing major heists. This is about Debbie Ocean forming an all female crew of her own for a heist within New York City’s Met Gala. I feel this was a good movie has some really good acting. However, I also feel like this is a “dumbed” down version of how a typical Ocean’s movie usually is. It has quite a large cast of amazing actors. Too bad it wasn’t better than it is. Not as great as the original Ocean’s movie.